Why Do the Righteous Serve God? 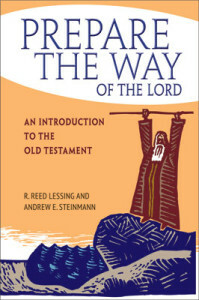 Written by Reed Lessing and Andrew Steinmann, Prepare the Way of the Lord examines and explores each book of the Old Testament, preparing students of the Bible to read Israel’s texts with understanding and insight. The following excerpt discusses theological issues in the Book of Job. The standard approach to the book of Job is to interpret it along the lines of theodicy—how can a just God allow a righteous person to suffer? While the accuser, Job and his wife, Bildad, Zophar, Eliphaz, and Elihu take up the issue of suffering, in his speeches at the end of the book God does not. This suggests that Job’s suffering is a foil for something bigger. But what is that issue? It is Job’s struggle to serve and trust in God. Although Job confesses that God is the one who “gives and takes away” (Job 1:21), his friends insist that it is human beings who control God’s giving and taking by their own righteous or unrighteous lives. They believe that the righteous always prosper and the wicked always suffer. In doing so, the three friends unconsciously align themselves with the accuser’s position that human beings serve God only because it gets them something. Job, however, argues that this is not true. Does this mean that the book has nothing to say about the theodicy of suffering? On the contrary, it is only when the central concern of the book is understood that its teaching on theodicy becomes clear. And it is this: Job demonstrates that theodicy is an irrelevant exercise. People cannot explain God’s actions because they do not have access to his wisdom in the heavenly court. They can only make guesses that, in the end, are as unreliable as those made by Job’s friends. Therefore, the overarching dialectic in the book of Job is between a false faith (the accuser and the three friends) and a true faith (Job, Elihu, and Yahweh). Those with false faith serve God only because of temporal benefits. Everything is quid pro quo. This faith operates with a mechanical view of retribution: good works earn rewards and prosperity, while evil works bring punishment and suffering. God automatically makes this happen, so he is more like a vending machine than a person (e.g., Job 4:7–9; 5:11–16; 8; 11; 15; 18; 20). Eliphaz responds to Job’s plight with a sympathetic appeal to Job’s former piety, automatically and perhaps unconsciously assuming that Job must have had a serious lapse which has occasioned his present sufferings. According to his principle of retribution, the upright never perish (Job 4:7), while those who sow trouble reap it (Job 4:8). Two more examples illustrate the friends’ approach to serving God. Eliphaz describes how upon seeing a “fool taking root,” God “quickly cursed his household” (Job 5:3). Temporal prosperity for the ungodly is utterly intolerable and retribution must be immediate, not eschatological. Bildad, who generally lacks the tact of Eliphaz, epitomizes the friends’ counsel to the bereaved Job: “If your sons sinned against him [God], then he gave them over to the hand of their transgression” (Job 8:4). For Bildad the only explanation for the tragic death of Job’s children is open sin against God. His approach adopts an aloof, Stoic attitude toward others in their suffering and grief. The three friends never address God, they never pray to God for Job or for themselves. They do not suffer, but claim that they still know just as much about Job’s plight as Job himself (Job 15:9). It is surprising, the friends assert, that Job does not suffer more (Job 11:6). What he needs to do is stop claiming that he is righteous in God’s sight and, instead, repent (Job 5:17; 8:5–6; 11:13–20; 22:1–30). Elihu says something similar, but he does not operate with the same mechanical view of retribution, and he considers God’s ultimate purpose in allowing suffering to be salvation, not merely punishment (Job 33:22–30; 33; 34:31–37; 36:1–33). The friends’ understanding is incorrect for two reasons. First, it assumes that the relationship between God and people is based on human achievement. Second, it lacks a doctrine of justification for sinners. Their approach believes that God rules with retributive righteousness. Their piety affirms that God is good, but it cannot affirm that God accepts sinners. That’s why no one listens to Job’s laments (Job 5:1). Eliphaz, Bildad, and Zophar embrace the idea that if people sin they will suffer. The Sinaitic covenant curses in Lev 26 and Deut 28 say as much. However, the friends go further and argue that if people suffer, then they have sinned. By reversing the cause and effect, they maintained that all suffering can be explained by sin. And since Job suffers, he has sinned. Though Job agrees with Bildad that no one stands righteous before God based upon what they do (Job 9:2), he argues that he must be suffering for a reason other than his sin. Job waits for God’s vindication and, in spite of his pain, he makes several startling affirmations of faith; Job 13:15–16 (the confession that salvation will come despite death); Job 14:7–17 (belief in an afterlife); Job 16:18–22 (hope for a mediator and afterlife); and Job 19:24–25 (hope for a redeemer and resurrection). Job offers a different motivation for why he serves God—justification by faith and eternal life. Job contemplates the tree, which has hope since if it is cut down it can sprout again (Job 14:7–9). Though he sees no visible evidence for the hope of an afterlife for people (Job 14:10–12), his faith overcomes human reason: “If a man dies, shall he live again? All the days of my service I will hope, until my renewal comes” (Job 14:14). The noun חליפתי, my renewal, derives from the verb חלף. Job uses it to describe a tree sprouting in Job 14:7, leaving little doubt that with the term renewal he is thinking of an afterlife. Justification is a possibility, for God will overlook his sin, seal up his transgression in a pouch, and plaster over his iniquity (Job 14:16–17). In his theophanies, God speaks to Job and confirms that which before he only believed on faith—there is order and beauty in the world (Job 38–41). From Prepare the Way of the Lord: An Introduction to the Old Testament, pages 285–87 © 2014 R. Reed Lessing and Andrew E. Steinmann, published by Concordia Publishing House. All rights reserved. 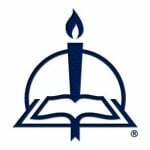 To order Prepare the Way of the Lord, please contact CPH at 800-325-3040 or visit www.cph.org.